1 – New federal beach testing standards are coming out in October. Meanwhile, a federal study says more beach testing needs to be localized. The study by the U.S. Geological Survey found that water quality information collected by local officials may provide increased beach access while minimizing swimming-related illnesses from harmful bacteria. The USGS study found that current water quality testing at Great Lakes beaches may be applied too broadly, possibly resulting in hundreds of beach closings between 2004 and 2010 that may have not occurred if a more localized approach was taken. By basing beach closure decisions on local variations in bacteria concentrations, beach managers will likely be able to keep their beaches open more often, one scientist says. And this can be done without increasing presumed health risks or violating EPA guidelines. The U.S. Environmental Protection Agency plans to release new recreational water quality criteria later this year. The criteria will update current beach water quality standards that are based on sites affected by sewage contamination. What can make solar energy stick around? How about adhesives developed by Dow Corning? 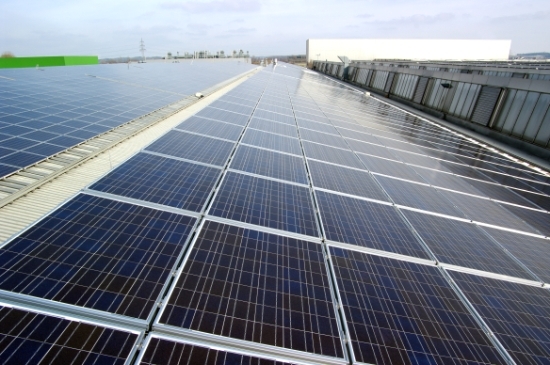 Dow Corning has just completed a solar installation at its world headquarters in Midland. The project, done by Phoenix Solar, will allow both companies to collaborate on efforts to commercialize structural adhesives for mounting solar panels on rails. Structural adhesives developed by Dow Corning can replace metal clamps, clips and bolts that that typically used to secure panels to mountings. Company officials say using adhesives rather than clamps and bolts can lower the costs of materials and labor, and reduce installation time. Phoenix Solar has installed a 23- kilowatt demonstration plant on the grounds of Dow Corning’s corporate headquarters. Every dollar spent on energy conservation and efficiency measures saves more than $4 in energy bills. The Michigan Public Service Commission recently released an Energy Optimization (EO) Program annual report (pdf). The report shows that savings to electrical and natural gas customers from energy conservation programs run by utilities in the state were much higher than expected. And, the $135 million spent on EO programs by utilities in 2010 resulted in cost savings to ratepayers of more than four times that amount. Or, for every dollar spent, savings were calculated to be about $4.88. The money for Energy Optimization programs comes came from surcharges on customer bills. So if you don’t use the programs, they won’t pay you back. Contact your local utility for more information.